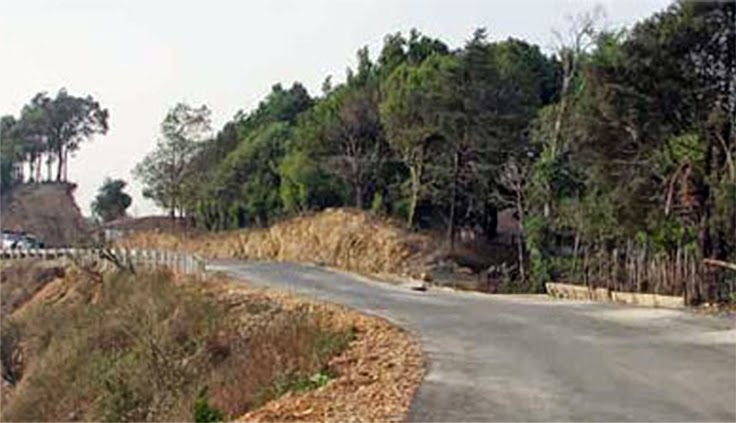 Guwahati, Jun 20 : The World Bank today said it has approved funding of $107 million (nearly Rs 650 crore) for a road project in Mizoram, connecting Myanmar and Bangladesh. Addressing a press conference here, World Bank Country Director in India Onno Ruhl said: "Our board has recently approved the road project in Mizoram, which will connect the state with Myanmar and Bangladesh." The World Bank board in last week has approved a soft loan amount of $107 million for the 'Mizoram State Roads II - Regional Transport Connectivity Project', he added. The Project will be financed by a credit from the International Development Association -- the World Bank's concessionary lending arm that provides interest-free loans with 25 years to maturity and a grace period of five years. The project will fund 91 km of roads that are design-ready. Roads that will be widened or strengthened include a 22 km section of Lunglei-Tlabung-Kawrpuichhuah road on the border with Bangladesh, the 27.5 km Champhai-Zokhawthar road on the border with Myanmar. It will also include the 41.7 km Chhumkhum-Chawngte North-South alignment connecting to the border roads with Bangladesh to the west and Myanmar to the south. The link to Bangladesh will facilitate greater bilateral trade and access to the Port of Chittagong, the nearest shipping port for the North East. Similarly, the link to the border with Myanmar will facilitate connectivity to Myanmar and the rest of East Asia and beyond. Another 330 km of road works may be considered for a follow-on project or additional financing when the designs are ready. The current project will fund detailed studies and designs for these roads (330 km). The project will also support Mizoram's Road Sector Modernization Plan (RSMP) to strengthen its institutions, enhance accountability, introduce new technologies to promote cost effective road construction and strengthen road safety management systems, helping to transform the state's Public Works Department (PWD) into a modern road agency. According to estimates, The World Bank said annual intra- regional trade in the region can more than double from $16 billion annually at present to $38 billion a year, if barriers to trading with neighbors were removed. As per another estimate, investments in transport infrastructure could reduce trade costs by more than 20 per cent in India, and 12.5 per cent in Bangladesh, it added.